File recovery is an important process. The most common situation is where a PC no longer boots up, either due to Windows not starting, or a hardware error. Even with backups it is an efficient process to read the hard drive and recover the up-to-date email, data and some profiles settings, such as favourites. Programs are not normally able to be recovered, but often the data is. There are several levels BCS run when recovering data. 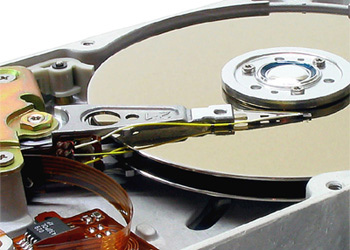 Within the workshop we have a specialised piece of hardware that will read all kinds of disk drive, including IDE 2.5", IDE 3.5", Sata I/II 2.5" and Sata I/II 3.5". Level 1 - simple file copy from existing drive to DVD or removable disk drive. Level 3 - Send drive away to specialist company, take the platters apart, and perform low level recovery. This is done a minimum dust/vacuum environment. If the data is important, and it is looking like a damaged hard drive, we recommend going straight to Level 3. Just accessing and trying to recover a damaged drive will possibly cause damage. Imagine dragging a peice of gravel all over your CD (or vinyl LP if you remember records!). That is about the same as some dust on a disk platter. Level 3 costs between £200-£300, so often BCS are instructed to follow through Level 1 and Level 2. Typical charges are around £90 to recover data using the first two processes, and it is normally fairly quick to work out whether there will be any success. Compared to the hours of work put in to creating your work or home files, it is often worth running a file recovery process. Photos, iTunes, films can increase the cost slightly due to the sheer amount of data needed to be transferred.